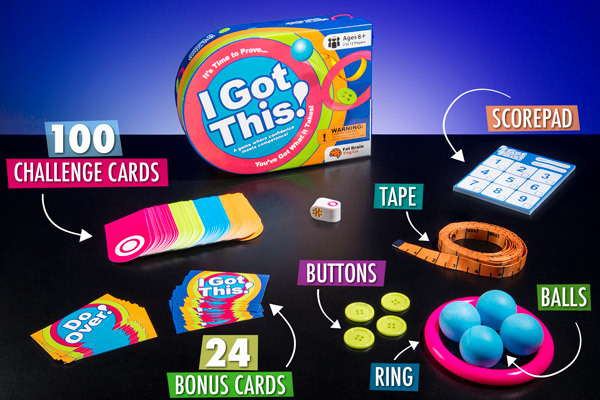 I Got This: The family-friendly party game where competence meets confidence. 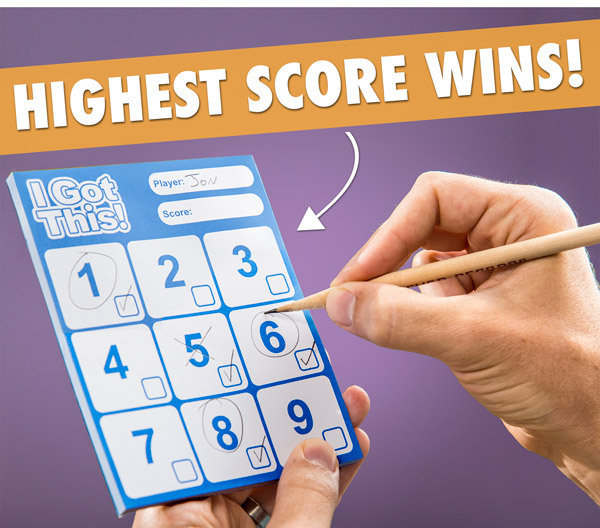 I Got This is the game where you tout your talent and back it up with silly swagger, completing challenges to earn points. 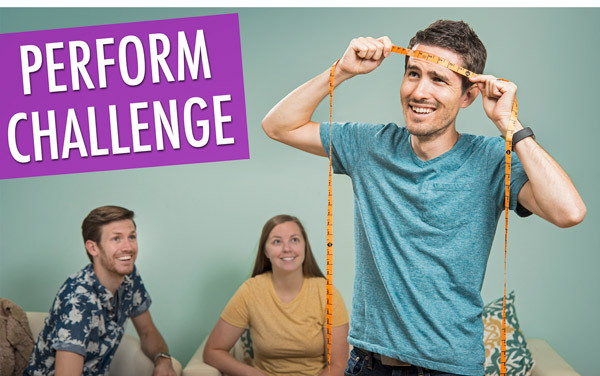 The skills needed to master the challenges aren’t exactly resumé material, but in I Got This, your ability to catch a ring on your foot or bounce a ping pong ball ten times could make you the champion of the living room. Gather the whole family, wager on who can do it best, and have a silly good time. 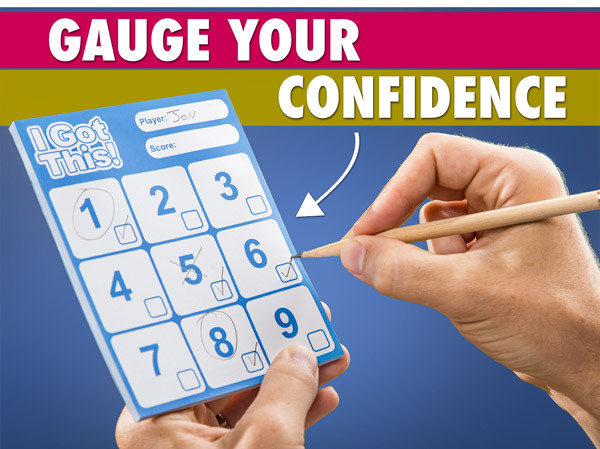 How well does your confidence match your competence? 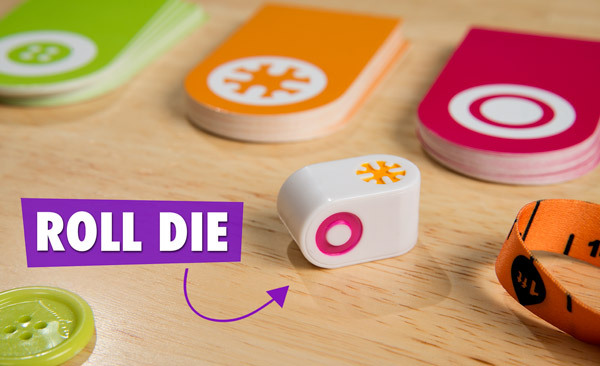 Roll the die to determine what kind of category (measurement, ring, ping pong, or button challenge) you'll be competing in, and mark the number of points you're willing to go for on your scorecard. 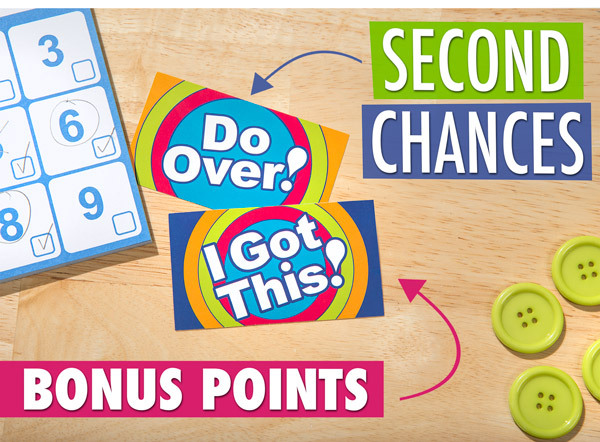 If you know you've got it in the bag, go ahead and double your points. But if you're over-confident and fail, you'll miss out on those points and lose the chance to bet them later in the game. 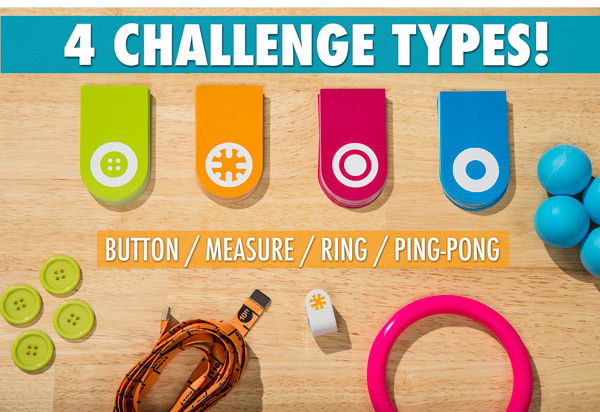 The challenges range all over the place from flicking a button through a ring to guessing the distance between two points. The one thing they have in common is that they reward your totally useless talents. 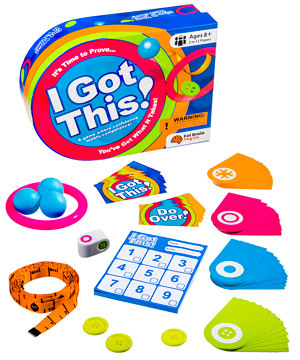 The game includes 100 challenge cards in four categories, 24 bonus cards, a soft measuring tape, a plastic ring, four ping pong balls, four plastic buttons, a score pad, and a unique I Got This die. The game includes a hodgepodge of hilarity. 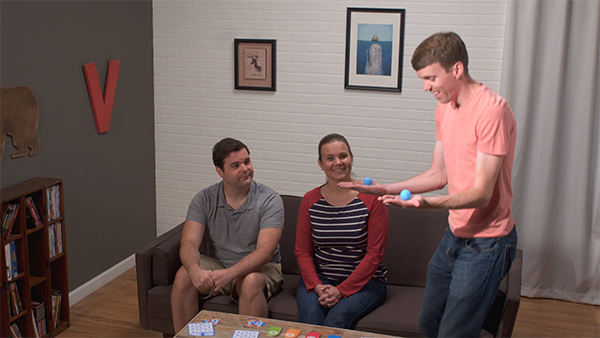 Jon and Joey, members of the Vat19 video team, take a first look at this fun party game. Jon and Joey take a first look at I Got This. Question: Can I measure in centimeters instead of inches? Answer: The official I Got This fabric tape measure is marked in inches, but you could certainly substitute your own metric measuring tape. Question: Can't I just wager 9 for everything? Answer: I Got This uses a Sudoku-style matrix where each point value can only be used once per complete game.